Effective teaching in challenging times. considering working in the field of education or wanting to know more about it need to learn about the foundations of education as well as the importance of continual learning through professional development and educational research. 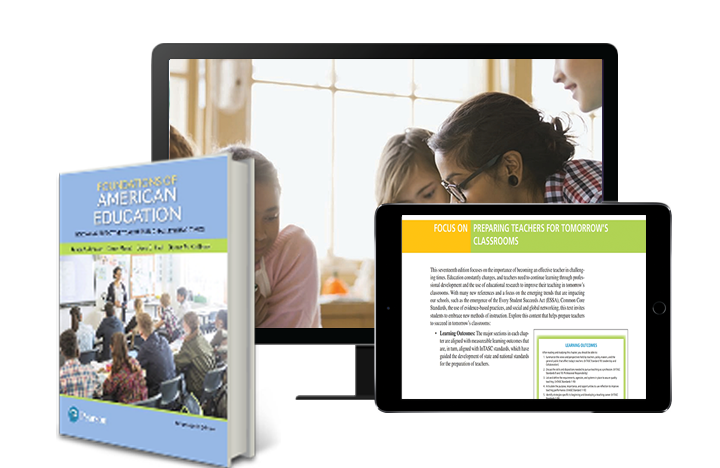 Foundations of American Education acknowledges the realities that teachers face daily, including the fast-paced world of information that influences today’s students and schools. 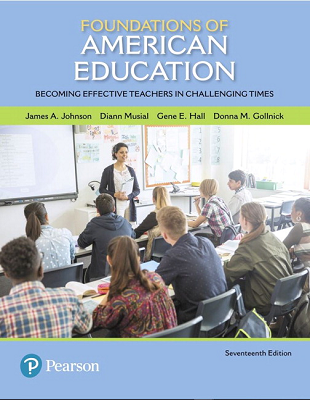 With many new references and an emphasis on emerging trends that are impacting our schools, such as state and national standards, Every Student Succeeds Act (ESSA), and social and global networking, this text invites students to become familiar with education and teaching today.